All Elite Wrestling is in Las Vegas this evening for a huge AEW Double or Nothing ticket announcement party at the MGM Grand, the same venue that will host the highly anticipated ‘ALL IN’ sequel this May. Cody Rhodes, Brandi Rhodes, Hangman Page, The Young Bucks, all three members of SoCal Uncensored and more will be present at tonight’s event, which is promising major names and a special surprise guest. 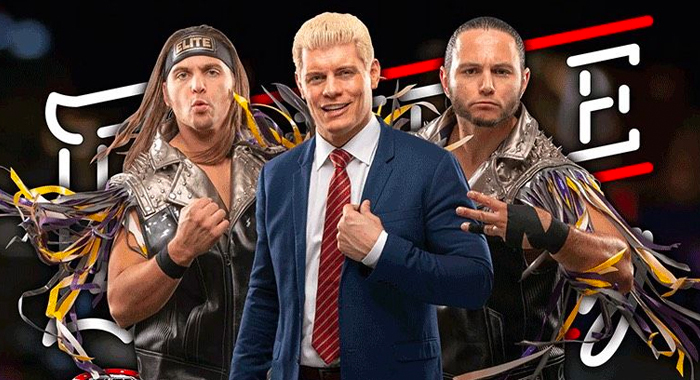 It is likely we will find out the on-sale date for Double or Nothing tickets, more members of the AEW roster, and potentially some of the key matches for the show. Refresh this page as we will be providing live updates from the Las Vegas rally throughout the night, kicking off at 9/8c. — The rally kicked off poolside with the historic MGM Grand standing tall in the background. — New Jersey wrestler Sonny Kiss, who also worked in Lucha Underground as XO Lishus, came out first and announced that he would be at Double or Nothing. — Cody Rhodes came out and said it felt like a Revolution in Las Vegas. The crowd chanted “we want tickets” and he said we’re going to get tickets. Go to AllEliteWrestling.com right now to sign up for the pre-order, which is on now through the weekend with a portion of the tickets likely to sell out very quickly. The general on-sale starts next Wednesday. — Hangman Page came out and the crowd chanted “we want full gear” in reference to the recent Being The Elite episode. He said he was going to get in the best shape of his life for Double or Nothing, but was cut off by a video from PAC. PAC said he’s been segregated into a category of people deemed not fight for general audiences, but he is bloody exceptional, and he will prove that Hangman Page is simply not on his level. Hangman wants to make it official. May 25th. Double or Nothing. The match is on! — The Young Bucks came out and said that you can’t even watch good tag team wrestling on major television programming anymore. They want to change the world of tag team wrestling, and they want tag team wrestling to be the main event. The Best Friends, Chuck Taylor and Trent Baretta, make their way out and announce they are officially in AEW to change the world! — The Lucha Brothers, Pentagon Jr. and Rey Fenix, came out as a major surprise! The two shook hands with the Young Bucks, but then superkicked both of them out of nowhere! Pentagon gave Nick Jackson a piledriver on the apron, and the two superkicked Matt off the ramp. Fenix said they called the Lucha Bros the “second best tag team in the world” and they are going to prove they are the best tag team in the universe. — Brandi Rhodes came out and had the entire crowd chant happy birthday for her brother. Cool moment. She announced that Japanese up-and-comer Yuka Sakazaki will be joining AEW as a part of their women’s division. Also confirmed… AJA KONG!? The myth and the legend Aja Kong has come to AEW! — Brandi is not done. Also joining the roster will be Chicago up-and-comer and the current Freelance World Champion and AAW Women’s Champion Kylie Rae. Kylie came out and cut a bubbly promo about being overjoyed to be a part of AEW from the very beginning. Brandi said she wasn’t done yet, and brought out a woman named Nyla Rose, a six-year wrestler from Washington D.C. that has done a lot of work in Japan for Sendei Girls. — SoCal Uncensored came out and announced that they would be hosting the official Double or Nothing after party in Las Vegas. — PWG co-founder and announcer Excalibur talked about AEW partnering with OWE in China, and confirmed that CIMA and his crew would be a major part of the collaboration between the two companies. The OWE owners and the legendary CIMA came out and talked about the relationship between wrestling in U.S. and China improving. Daniels told CIMA to find two of his best guys, and face SCU in a six-man tag team match at Double or Nothing. — KENNY OMEGA IS HERE! He announces that he has officially put pen to paper, and has signed a full-time contract with All Elite Wrestling. 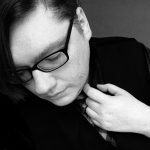 He says for the longest time now he’s been living by this idea — “Change the World” — but he hasn’t been able to quite articulate what that means. Then he went to ALL IN last year and felt it for the first time. He has come to AEW so that the cast of Being The Elite, Tony Khan and all their friends can finally show the world what it means to “Change the World”. — Chris Jericho made his way to the stage and got in Omega’s face. The two ended up brawling all around the poolside area into the fans, until security got in between them and hauled off Jericho, while he was screaming “I’ll see you at Double or Nothing!” Omega got on the mic and said he was cut off before delivering his favorite line. Goodbye, and good night! Bang!